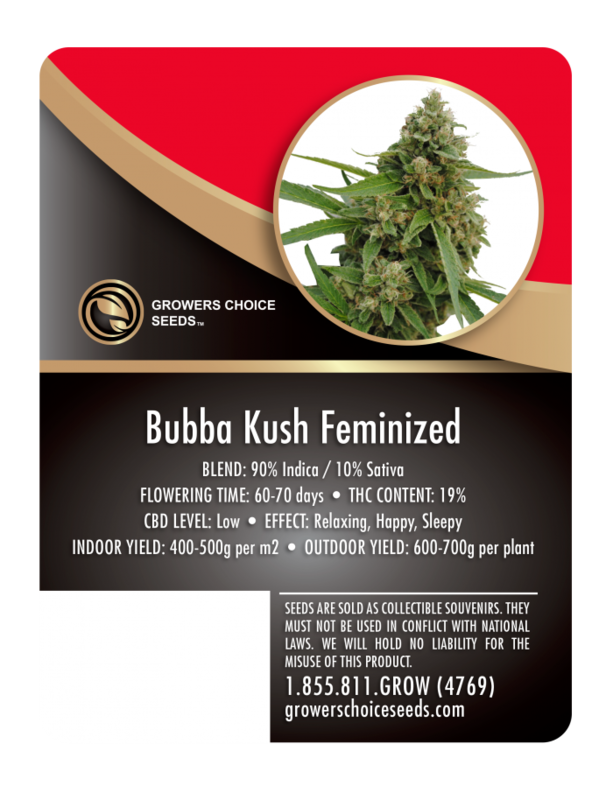 If you’re a fan of kush strains that offer a bit of a mood boost, try our Bubba Kush feminized cannabis seeds on for size. After a moderate growing period, this smooth, soothing strain offers relief from stress and pain, banishes anxiety, and boosts appetite in people who need to be encouraged to eat. 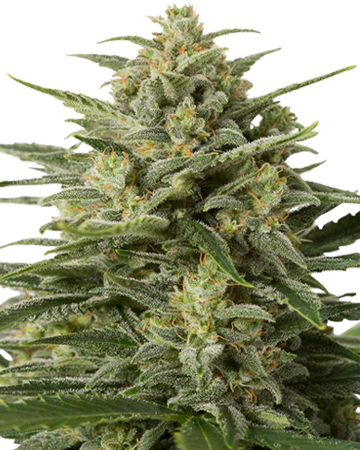 Bubba Kush is an indica-dominant strain that traces its lineage to the ever-popular and powerful OG Kush, which originated on the western coast of the United States. 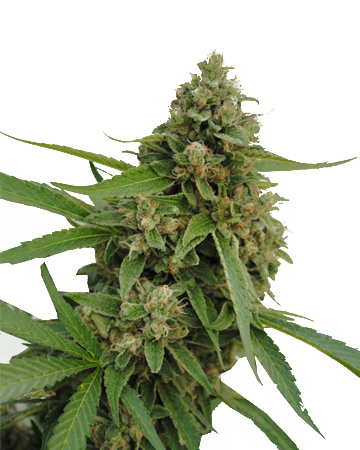 Growers Choice Bubba Kush feminized cannabis seeds are an excellent choice for patients hoping to grow their own medicine at home, with deeply relaxing results that kick insomnia to the curb and send anxiety running for the hills. Is Bubba Kush a Strong Strain? 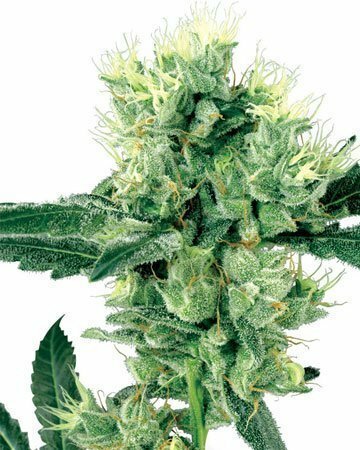 With a moderate-high THC level, Bubba Kush should be sampled thoughtfully – a little goes a long way. You can expect a bit of euphoria from this strain, though that is definitely not its most prominent quality. Enjoy the lift in mood and soothing, sleepy sensation that comes with the full-body calm (but usually not couch lock), and relax into stress relief. 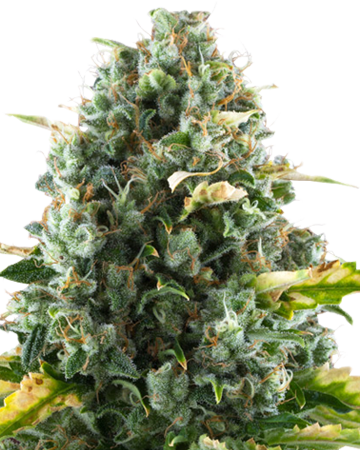 Many patients battling chronic pain from an illness or acute pain from injury love Bubba Kush cannabis seeds for their ability to alleviate painful sensations. Treating pain with cannabis puts your health and life back into your own hands with safe pain management. 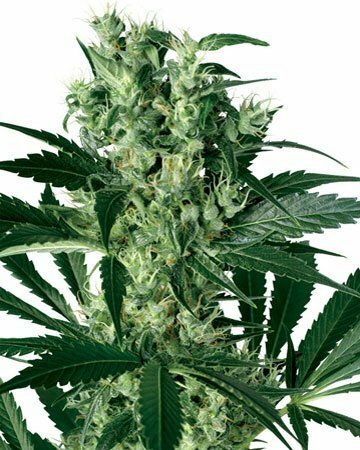 Is It Hard To Grow Bubba Kush Cannabis Seeds? 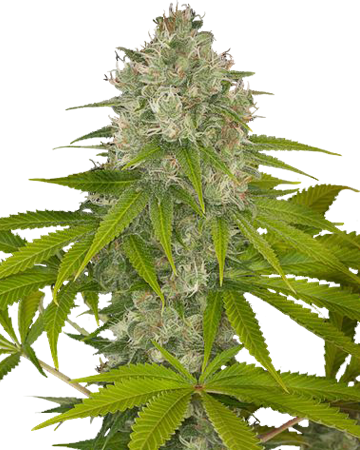 Though not ideal for beginner growers, Bubba Kush cannabis seeds aren’t all that tricky to successfully cultivate. 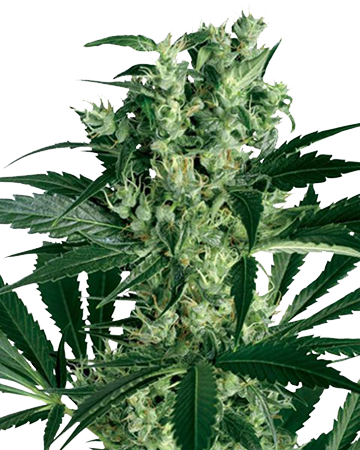 The plants are short in stature and grow up to be bushy with densely packed buds. 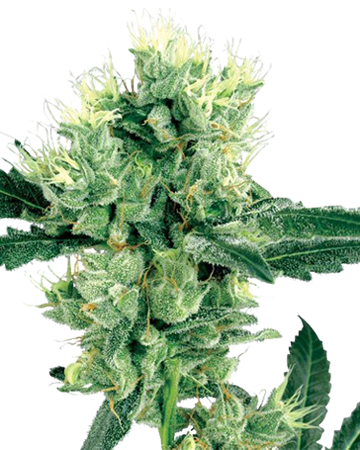 This mold- and pest-resistant strain can be grown outdoors if you live in a consistently warm and sunny climate, but will absolutely flourish inside. 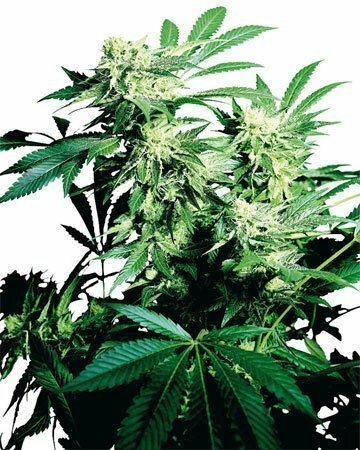 You’re looking at a flowering period of between 7 and 9 weeks, beginning after a recommended three or four weeks in the vegetative stage. 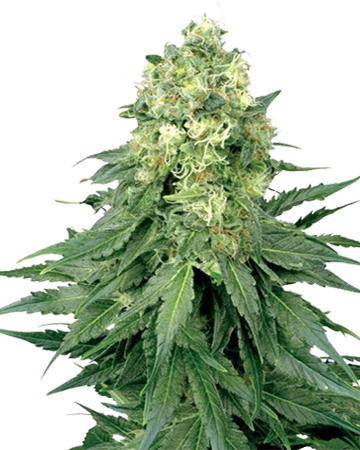 You’ll get a decent but not sky-high yield from your Bubba Kush plant, which is generally not an issue since it is quite potent and of excellent quality. 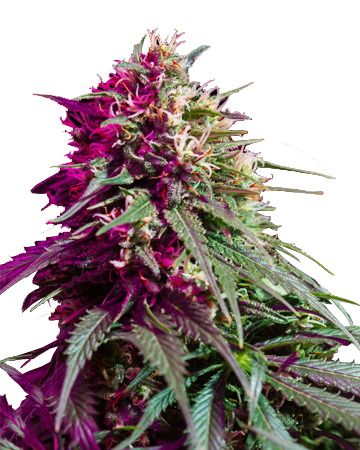 Gardeners know they can rely on Growers Choice and our premium Bubba Kush cannabis seeds, because we have shown ourselves to be consistently reliable. 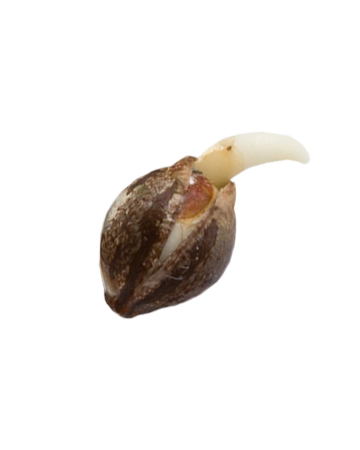 Our genetics are guaranteed, and all our cannabis seeds come with an amazing 90% germination guarantee. All one need do to be covered by this promise is follow our simple germination guide, which is nothing more than the world-renowned Water Glass and Paper Towel method. 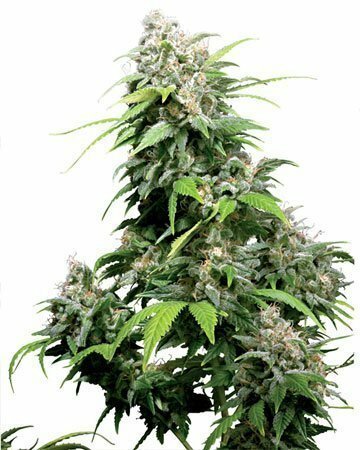 If you’re looking for incredible relaxation, and natural sleep aid, and healing pain management, try Bubba Kush cannabis seeds. Very excited to write my first review for GSC. Have been incredibly impressed by the quality of my seeds and the resulting marijuana they produced. I ordered online and the seeds were at my door in just about a weed. Followed the germination guide and got 4 of 5 seeds to pop. 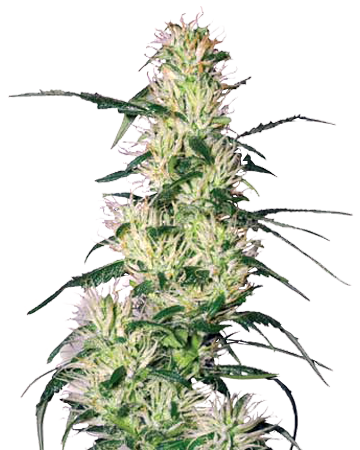 Bubba Kush is a great strain for beginners, very easy and straightforward grow. I grew them right in the backyard and in only about 3 months I was starting to see beautiful sticky green buds forming. I got nearly 700 grams, and I smoke only in the evenings to help me with headaches, stress, and anxiety. It has been a great life improvement! Great Yield and very nice strong feeling.. Pain gone and works great for migraines too. Smells and tastes as good as it looks. This one was first to run out with as my patients couldn’t get enough. This is a keeper !!! Fair warning: this stuff is strong. I took a little too much the first time and didn’t have the greatest experience, I was young and stupid and didn’t read the description of the strain or research it at all. Obviously, now that I know better and have a much higher tolerance, I can’t get enough of Bubba. I’m still responsible with my portions, though. A little goes a long way so the amount you buy will last you a long time. The high levels of THC in this strain are the perfect choice for a peaceful Sunday. Yes, yes, and yes! Finally a company who isn’t just around to make a quick buck. Got my confirmation a few hours after my order was placed. 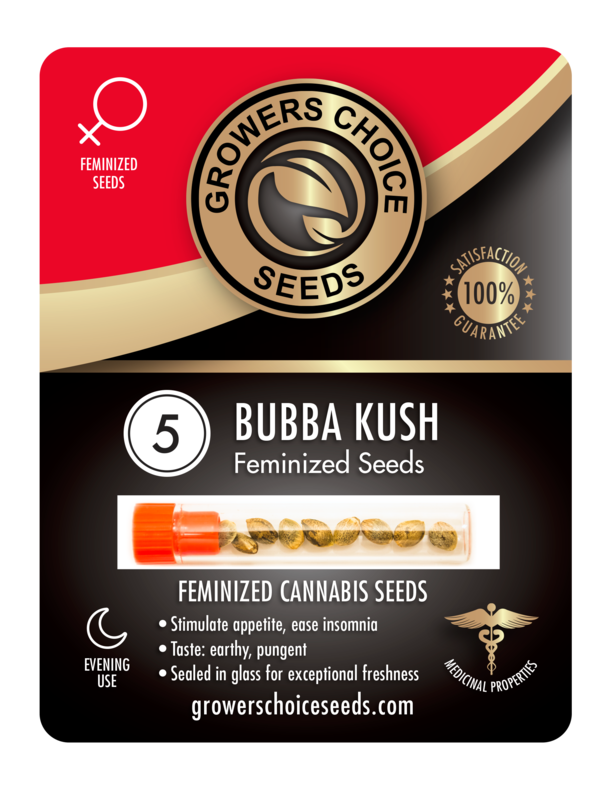 I’ve been wanting to try feminized cannabis seeds for the longest time, but couldn’t find a good company I thought I could trust and had bad experiences with the ones I did. I got a good 8oz of pretty big buds from about 10 of these seeds. Delivered right to my door as promised. Love it. Good seeds, I germ 2 out of 5 successfully but im a newb and probably germ the others wrong, 2 of the ones that germed are doing great! its almost time for harvest and the buds are fat and sticky. cant wait to harvest it. Thanks. 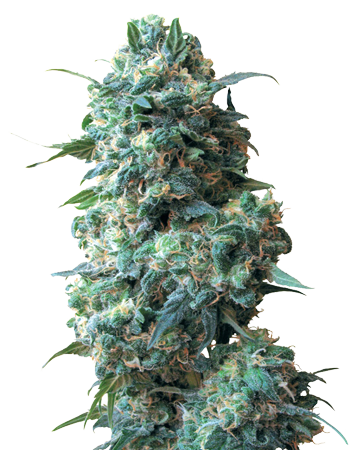 I’ve found Bubba Kush is one of the best to grow indoors cuz you get a really great yield. I tried it first time when I went to Hawaii… man that was amazing. I can’t grow the same kind I had there, but it’s pretty close. Easily one of my faves from Growers Choice, they have a few really good ones, compared to some of the other shops I’ve bought from before. Honestly, Growers Choice doesn’t have a huge stock but they have the seeds I like, they always deliver on time and the seeds are pretty sweet quality. I recommend these guys. You really can’t go wrong with Bubba Kush seeds. 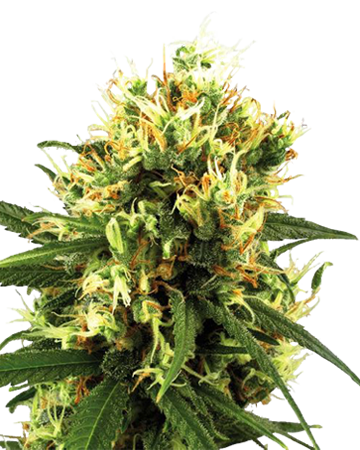 It’s one of those immaculate strains, brilliant high, easy to grow. Only problem is my first order of seeds didn’t show and at first I was pissed – you spend all this money and then it doesn’t show up? Ugh. But GC was quick to action and sorted me out. Second set arrived in about 5 days, like they promised, and it’s been a dream since then. Nice to deal with a company that’s above board. Hope future orders don’t go wayward again. My bubba kush grew much faster than expected and larger than expected too. Must have liked the soil mix I made, but I think it has more to do with the quality of the seeds. I’ve ordered bubba kush seeds from other companies and they haven’t grown like this before. I finally decided to try feminized cannabis seeds, and I’m really impressed with the results. MJ was perfect, and helps me sleep. Will be checking out the other strains soon. I got such a beautiful yield out of these pot seeds that I kind of overdid it with my dose. It definitely hits you hard. The next day, I totally had a weed hangover. I grew indoors, but I doubt that makes a difference. Best part was that these are feminized cannabis seeds, so all my seeds grew into amazing female MJ plants and I got the most for my money.